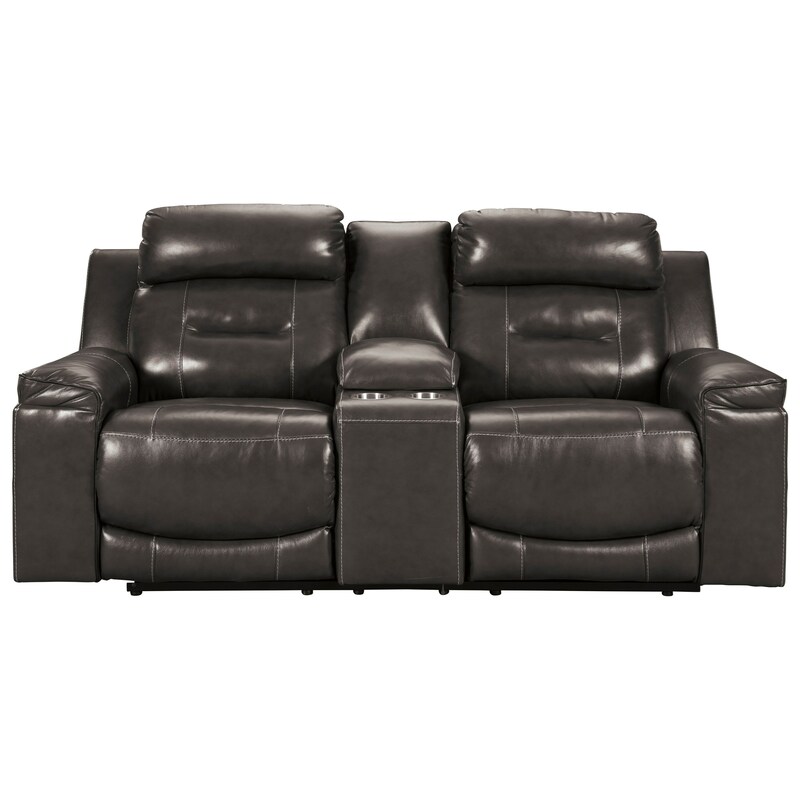 Customize your comfort with the EasyView™ adjustable headrests and power recline of this leather match loveseat with a center storage console with cup holders. The contemporary lines and accent stitching of the reclining loveseat will add style to your decor. Built-in USB chargers in the power control even makes it easy to keep your devices charged. The Pomellato Contemporary Leather Match Power Reclining Loveseat w/ Console & Adj Headrests by Signature Design by Ashley at Miskelly Furniture in the Jackson, Pearl, Madison, Ridgeland, Flowood Mississippi area. Product availability may vary. Contact us for the most current availability on this product.